Opponents warn that voters could be asked to vote on gross receipts tax plan hammered out by lawmakers. The long-awaited proposal will tax businesses just under one-half of 1 percent of their gross receipts of more than $1 million while cutting Oregonians' income tax rates by a quarter of a percent for all but the top bracket. Sales of groceries, gasoline and diesel would not be taxed under the proposal. The smallest businesses — those that make less than $1 million in taxable revenue per year — will not be subject to the tax, nor will any that already pay the medical provider tax. Businesses that are taxed will be able to allay the impact by deducting one-quarter of either their labor costs or the amount they paid to other businesses during the course of the year. A small group of state senators and representatives from both parties, led by Sen. Mark Hass, D-Beaverton, and Rep. Nancy Nathanson, D-Eugene, has been meeting for weeks to hammer out a business tax proposal. In addition to taxing businesses on their sales, they have agreed to cut Oregon's personal income tax rates as a way to offset costs that companies will likely pass along to consumers. Gov. Kate Brown called last year for lawmakers to find new revenue for K-12 education over the next biennium. Hass said he is shooting for at least $1 billion per year. Money from the new tax will go into a new state fund called the Fund for Student Success, which will support K-12 and early childhood education statewide. Revenue from the corporate activity tax will pay for the $2 billion Student Success Act that legislators unveiled last week. The tax plan, which is still subject to change, is a part of that act. A version of the proposal was posted as an amendment on the Legislature's website briefly on Thursday afternoon, April 10, before being taken down due to drafting errors, according to Hass' office, which confirmed the basic outlines of the plan. Hass, Nathanson and other key legislators have been studying two closely related models for several months, trying to decide how to craft their corporate activity tax plan. 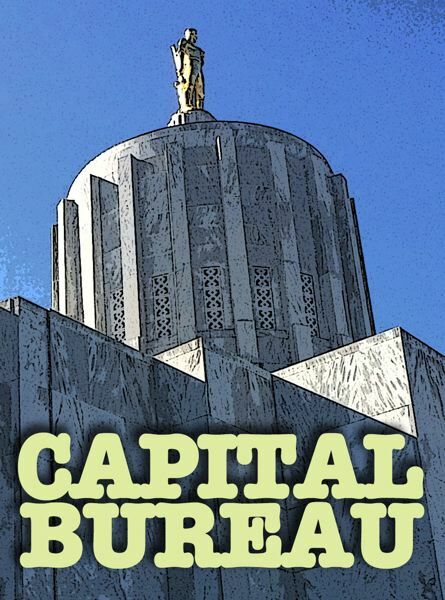 Oregon Business & Industry, a coalition of some of the state's largest employers, suggested that lawmakers look into a value-added tax to ensure businesses don't have to pay more for every step in their production process. At least some production costs would be deducted from the tax bill — an idea lawmakers have incorporated into their plan. A rival group called Coalition for the Common Good, made up primarily of labor groups and Washington County's Nike Inc., put forward another option modeled off of Ohio's commercial activity tax. 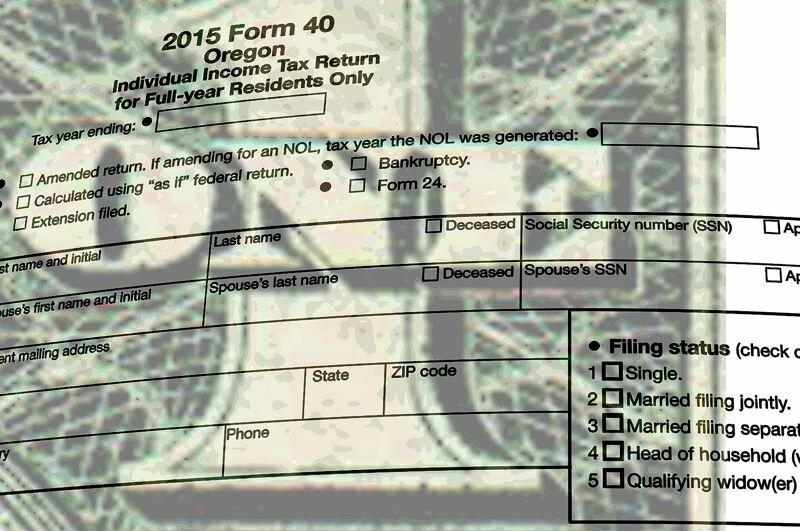 That proposal resembled Ballot Measure 97, a proposed gross-receipts tax that Oregon voters rejected in 2016. The current plan is a blend of the two competing concepts. "I want to do the best policy that is most fair to most businesses," Hass said early this spring. "I'm going to avoid a situation where this places a greater burden on one sector or one size of business." Melissa Unger, executive director of SEIU 503, reacted positively to the plan. 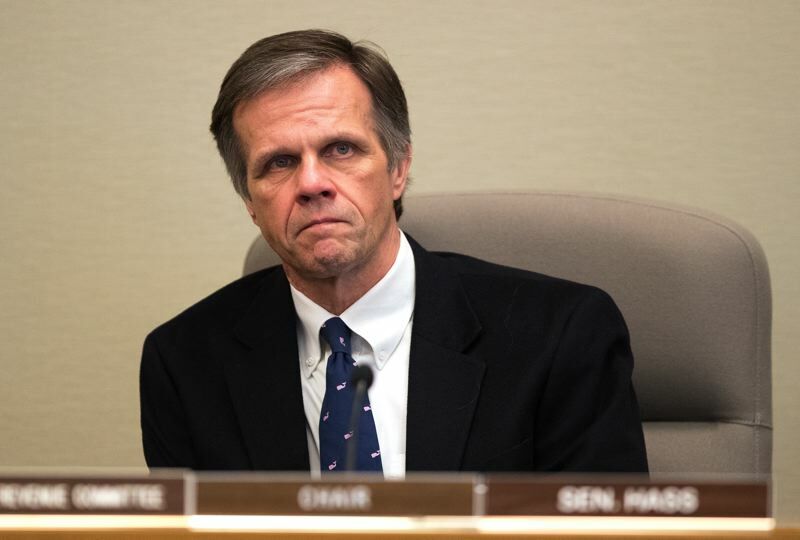 "We are encouraged about the direction the Legislature is headed, funding critical services with a reasonable corporate tax," Unger said April 11. OBI isn't quite on board yet, said its executive director, Sandra McDonough, but it does see encouraging aspects of the plan now on the table. "We were happy to see that they have introduced this concept of a hybrid that starts to address some of our concerns about pyramiding," McDonough said, referring to the accumulation of taxes on every stage in the production process. Gross-receipts tax critics argue that pyramiding is unfair because it disproportionately affects producers of complex goods. She added, "It's not where we think it needs to be, but we've indicated we're willing to continue the conversation." In Oregon, raising taxes or creating a new tax requires the approval of three-fifths of senators and three-fifths of representatives. That gives the Democratic majority a narrow path to passage, as the 18 Senate Democrats constitute exactly three-fifths of the chamber. Lawmakers also have other major issues to sort through. The education package itself is complex, and it has already faced pushback from Brown, who said April 11 she wants a share of the new tax revenue to bolster career and technical education and expand financial aid for college students. As proposed by legislators, the Student Success Act would invest $2 billion over a biennium into K-12 education. Those dollars would pay for more add teachers and support staff, instructional days, elective and extracurricular activities while also investing in early childhood education and preschool programs, mental and behavioral health resources, and recovery planning for struggling school districts, among other areas. Both the business tax and the lower personal income tax rates would take effect next year. Projections suggest the tax plan would bring in just shy of $1 billion for K-12 education in 2020. However, opponents could force a statewide vote on the tax changes if they get through the Legislature. Controversial bills are often referred to the ballot, a process that a senator and a representative can initiate. "We're ready for that," Hass said of a potential referral. "If that's the way it goes, that's the way it goes." The last time a major tax increase was on the statewide ballot in Oregon was Measure 97 in 2016. Voters shot down the proposed $3 billion corporate sales tax, with 59 percent voting "no" to bury the measure. Hass attempted to marshal support for a more modest tax package in 2017, but his plan died without a vote. Last fall, Brown proposed $12.3 billion in spending for the Department of Education, 11 percent more than the current budget. Oregon has the second-lowest high school graduation rate in the country, according to U.S. Department of Education data. Only New Mexico graduates fewer of its high school students within four years. Funding levels for Oregon schools has declined since voters approved Measure 5 in 1990, slashing the amount of money schools receive from local property taxes. Instructional time has fallen in many school districts, as have staffing levels. Ballooning public pension costs have also hit school districts hard. McDonough said OBI believes "cost control" needs to be addressed if taxes are being raised: "Specifically PERS reform, so that we can make sure that any new dollars raised actually make it to the education package that they want to support." The Legislature passed major PERS reforms in 2013, but the Oregon Supreme Court invalidated most of them in 2015. A citizens' group including former Gov. Ted Kulongoski and former state Sen. Chris Telfer is working toward petitioning PERS pension cuts onto the ballot in 2020.